At an unspecified time in Earth’s future (roughly twenty to twenty five years from the present), a Great Disaster is said to befall Earth. Atomic war, energy vortex, earthquakes, tidal waves, disease: essentially, humanity is all but wiped out. Efforts are made to prevent this calamity. The Global Peace Agency construct Brother-Eye, a highly sophisticated satellite set to monitor Earth, and produce a one-man army corps (or, O.M.A.C.) set to work in tandem to avert the tragedy only to fail. Rip Hunter and his Time Masters tried to prevent a Nuclear War that occurred at some point before 2035 by eliminating the Illuminati and its leader Vandal Savage. Jonah Hex would be transported to the year 2050 by scientist Reinhold Borsten who had discovered the means of time travel some years earlier and employed it to evade nuclear holocaust (only to subsequently be murdered by his own daughter Stiletta for being abandoned in the past). In the aftermath, heroes emerge such as Sgt. Gardner Grayle who organizes the Atomic Knights to combat the tyrant Black Baron. 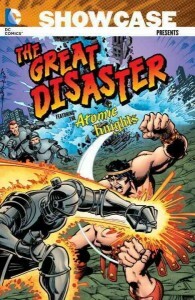 The mythological Hercules returns to combat the Anti-Gods for the sake of humanity. Humanoid animals in time come to rule the world (due to the presence of the drug Cortexin), leading to an ongoing war between the Tiger Empire and Gorilla-Men. Surviving humans lived in underground bunkers, with what seemed to be the last boy on Earth being O.M.A.C.’s grandson Kamandi (a play on being the final survivor of outpost Command D) who would befriend canine scientist Dr. Canus, Tiger Prince Tuftan, and the genetically engineered mutant Ben Boxer. In an alternate timeline, Kamandi would have become Col. Tommy Tomorrow of the Planeteers. For a time, Science Fiction was a big draw for DC Comics. While these tales tended to be all over the place chronologically, many such stories fell into the 22nd Century. From the superhero side, there was Ultra the Multi-Alien. Earth spaceman Captain Ace Arn stumbled upon an alien gang. The gang’s four members, each of a different race, wanted to transform Arn into one of their kind under their command with a ray gun. Firing simultaneously, Arn took on the attributes of each alien but maintained his freewill and brought the criminals to justice. Appearing monstrous, Arn let his girlfriend believe he perished as he took on the identity of Ultra. In time, Arn developed a device that allowed him to transform back and forth between human and multi-alien seeing him return to his love making her believe his two personas were two entirely different beings. Another notable character and associate to Ultra was Rick Starr the Space Ranger and protector of Earth. Son of the wealthy Thaddeus Starr of Allied Solar Enterprises, Space Ranger uses his family fortune to help finance his adventures. Space Cabbie would be another mutual acquaintance of Ultra and Space Ranger. A veteran fighter pilot of the Bored Wars of 2146, Cabbie makes ends meet transporting fares across the galaxy. Time travel must be fairly common at this point in history as the three have on occasion (separate and together) emerged in the present, at one time working for the Space Museum of the 25th Century. 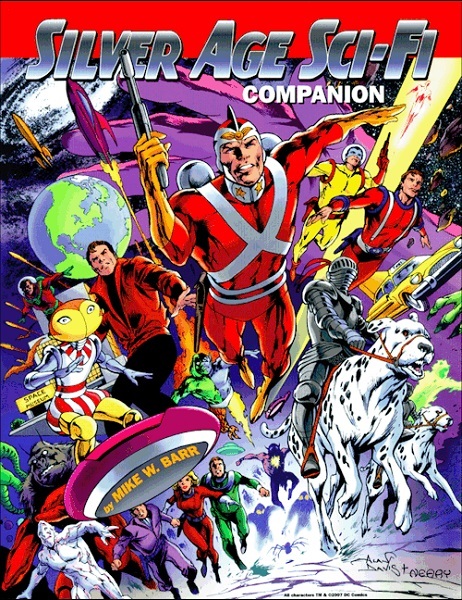 Also from the 22nd Century is the Star Rovers, three separate adventurers who often competed with each other before teaming up toward various tasks (including saving the Earth), and Ultra-Man, scientist Gary Concord accidentally went into suspended animation for over two hundred years waking up in 2174 to become a superpowered hero. Home to the Legion of Super-Heroes, young heroes Lightning Lad of Winath, Cosmic Boy of Braal, and Saturn Girl of Titan would save the life of the wealthy R. J. Brande (formerly Ren Daggle of L.E.G.I.O.N.) 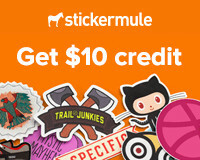 from an assassination attempt on a trip to Earth. Impressed with the youths, Brande funded the development of a heroic force that became the Legion of Super-Heroes. The group would become vast with dozens of members (as well as various allies), most notably a young Superman in Superboy when the three founders went back in time to invite their idol to join their ranks (Supergirl and Superman’s clone Superboy would also later join). While DC Comics developed brands based on the Justice Society, Justice League, and Teen Titans, the Legion became a new franchise to mine for creative content. The Legion has seen nearly six decades of nearly ongoing stories facing the likes of the Fatal Five, Time Trapper, Legion of Super-Villains, Mordru, Computo, Khund, Universo, and Doctor Regulus. Even more modern day threats such as Darkseid, Superboy-Prime, Brainiac (as Pulsar Stargrave), Ra’s al Ghul (masquerading as President Leland McCauley), and Vandal Savage (as Vandar the Stone) would come to endanger the Legion and the United Planets they protect. The 30th/31st Centuries would also have more ties to the 20th/21st Centuries as the Flash Barry Allen’s wife Iris West would hail from this future period and returned to the future where she would raise her husband’s children Don and Dawn Allen (who became the heroic Tornado Twins). Don would have a son named Bart, who went to the 20th Century to become Impulse (and later Kid Flash and then the Flash), with Meloni Thawne (a descendant of Cobalt Blue and Reverse-Flash who also bore a son named Owen Mercer with Captain Boomerang). Dawn would become the mother of the Legionnaire XS. During a conflict between the Legion and Superboy-Prime, the group would resurrect Bart Allen and Connor Kent from the dead. They would be joined by the final Green Lantern in the immortal Sodam Yat (born in the 20th Century). In the 853rd Century, Earth’s solar system has been terraformed such that life can live on each world (as those planets furthest from the sun are warmed by the artificial sun Solaris). 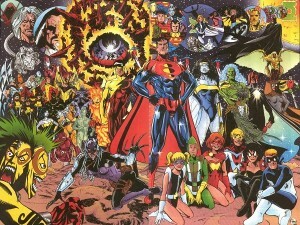 Each planet is defended by a hero inspired (or descended) from the Justice League where Mercury has the Flash (John Fox, formerly of the 27th Century), Venus has Wonder Woman, Earth has Superman, Martian Manhunter (J’onn J’onzz) has bonded with Mars, Jupiter hosts the hero’s headquarters and has the Atom, Saturn has Hourman, Uranus has Starman (who also monitors Solaris), Neptune has Aquaman, and Pluto has Batman while the original Superman (called Superman Prime) yet lives in the heart of the Sun. These heroes are known collectively as the Justice Legion Alpha who would travel to the 20th Century to invite the Justice League to their time period to celebrate the end of Superman Prime’s self-imposed exile from intelligent life for fifteen millennia. However, they unwittingly took part in a plot by their time’s Vandal Savage and Solaris to find a new home for the latter. Eventually, the League and Legion would triumph and Savage was apparently killed in a nuclear explosion. Hourman would live in the past for a time, joining the League then operating independently and later as part of the Justice Society. The Superman of the 853rd Century is a member of the Superman Squad made up of members from across time and the multiverse. Honorable mentions: Kingdom Come, Obsidian Age, late-21st Century (Manhunter 2070, Tommy Tomorrow and the Planeteers, Chris KL-99, Star Hawkins, and Automan), 25th Century (Reverse-Flash, Knodar, Booster Gold, Knights of the Galaxy, and Space Museum), 43rd Century (Iron Wolf), 1970s (Justice Experience), and the 1960s (Challengers of the Unknown, Sea Devils, Cave Carson, and Suicide Squad).